Dr. Seva Papageorge is a passionate family medicine physician whose priority is her patients' long-term health. She feels that patient knowledge is the key to staying healthy, and works hard to educate her patients. 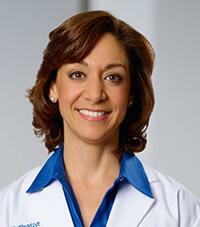 Her special interests include annual physical exams, women's health, pre-operative exams, thyroid disorders, diabetes, hypertension management, osteoporosis, lipid management and adolescent health. Dr. Papageorge is board-certified as a family physician by the American Board of Family Medicine.